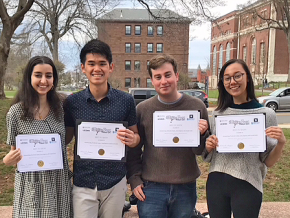 Incoming frosh John DiCandeloro, pictured at top, right, is currently studying the Persian language Farsi in Dushanbe, Tajikistan through the State Department's National Security Language Initiative for Youth (NSLI-Y). 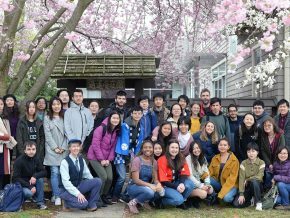 NSLI-Y provides merit-based scholarships to U.S. high school students and recent graduates interested in learning less-commonly studied foreign languages. DiCandeloro is pictured with his peers and Ken Gross, the U.S. Ambassador to to the Republic of Tajikistan. The Ambassador spoke about the United States' political and economic relationship with Tajikistan and opportunities to work with the State Department in the future. DiCandeloro and his peers participated in a national cuisine cooking class. 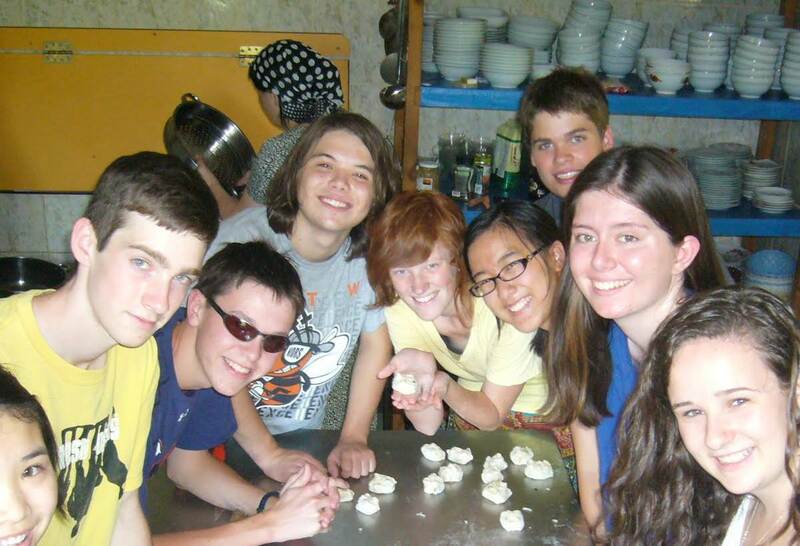 Here, volunteers made "manta" (dumplings) by filling flattened dough-squares with a mixture of meat/onion or potato/onions. 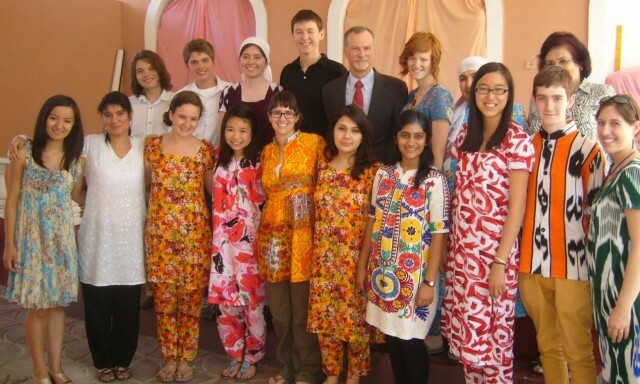 The students are living with local families and studying their language. They're also learning the culture, touring cities, meeting dignitaries and volunteering in the city. 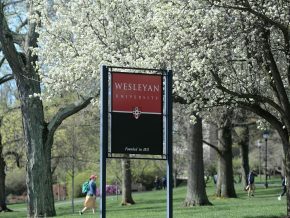 At Wesleyan, DiCandeloro plans to study international relations.